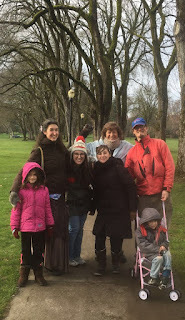 Dash of Green: Spaniards Visit! Man, I missed quite a lineup of days there. But that's just because there has been so much going on! Last I'd written on Saturday, we were prepping the house for visiting family. 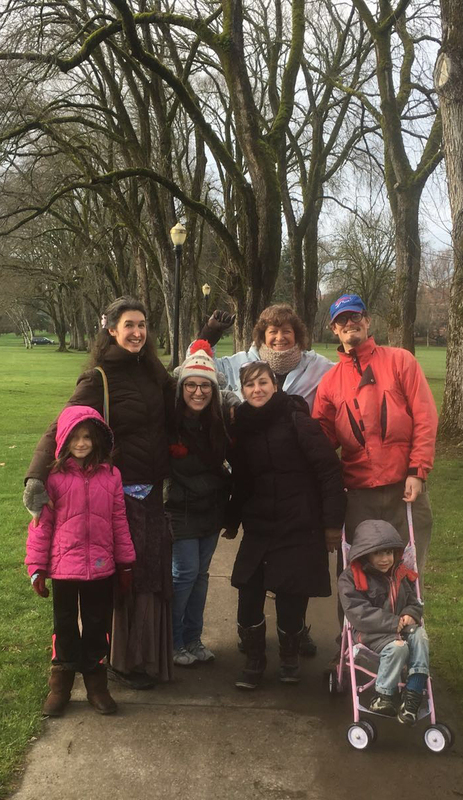 Plus, they are huuuuge fans of certain pieces of literature and cinema set in the PNW, so they made sure to take extra big advantage of their trip by traveling up to Seattle the day after they'd arrived. So it was a whirlwind visit of walking to OSU campus, then downtown, by the river, back home, boozing and snacking at home (yum) and then hitting up El Sol de Mexico (double yum). They'd been awake since 4:30am and were pretty zonked so it was an early night for all of us (7:30?? HA!) but it's cool because guess what...they're coming back down from Seattle tomorrow (Wed) for more visiting!! I think it was all the drinking/dosing that landed me on the sofa for pretty much all of Monday, which was fine by me because I had some more knitting to do, storymaking to focus on, and I also did a ton of reading with the kids. We blasted through "The Legend of Zelda: Four Swords" and two Rainbow Fairy books. 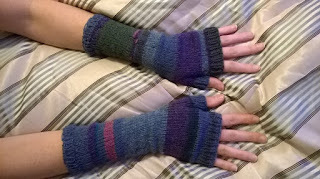 Plus, I'd been listening to David Sedaris' "Me Talk Pretty One Day" the whole time I'd been knitting. Today I was feeling much better (I'm sure the sunny weather helped), taking a nice long walk to OSU, biking to pick up the kiddos, having some good creative time in the library during Ella's pottery class, and then wrapping up the day with a TRB meal at home. Thanks, Dash~!!! Aaaaand there you have it. I think this week is going to be pretty varied with creative processes going on, relaxed evenings, and making some headway in community-building efforts. I'll touch base again soon, so in the meanwhile, take care and Happy Spaniards Visit! !